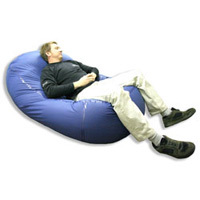 All of our Care Bean Bags are designed and manufactured with Hospital and Care use in mind, ensuring that they are simple and effective during use and that they meet all relevant fire and safety standards. Made from our flame retardant, MVP (Moisture Vapour Permeable) two way stretch fabric, the covers are easily wiped clean and can be washed up to a teperature of 70 °C if necessary. Fully taped seams and tensioned zip flaps guard against ingress of fluids. 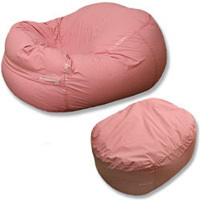 The Care Chair is an extremely comfortable and relaxed piece of bean bag furniture, very similar to many domestic bean bags, but with the supportive properties required for use in care environments. Available in 5 different sizes, the Care Chair is suitable for many care applications. Disposable covers are also available for the Care Chair ensuring that infection control standards are easily met and maintained. 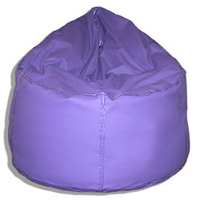 The Ward Lounger range features 5 different sized lounger bean bags. From the smallest to the largest size, each will provide pressure relief and support for your patients. The combination of fabric stretch and bean fluidity serves to mould to the users shape. Disposable covers are also available for the Ward Lounger ensuring that infection control standards are easily met and maintained. The Birthing Partner range comprises a range of bags for use in labour suites and maternity wards to give pressure relief and support from early pregnancy through to birth. The combination of fabric stretch and bean fluidity serves to mould to the users shape. Disposable covers are also available for the Birthing Partner ensuring that infection control standards are easily met and maintained.